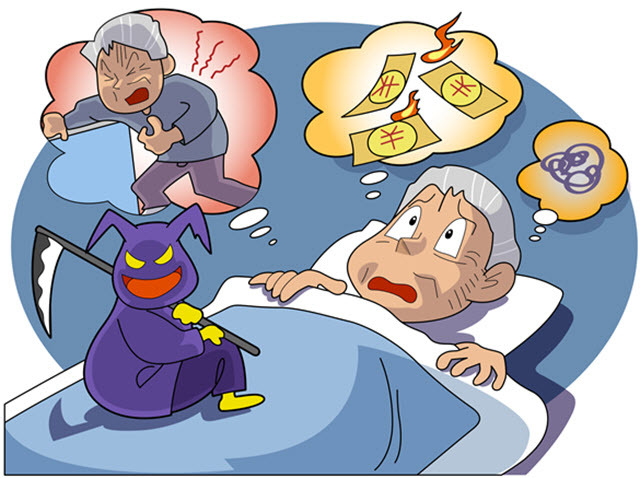 Insomnia and general sleep disturbances are common among older adults and the elderly. But are pernicious in that they can lead to serious medical side effects with far-reaching ramifications. The common insomnia pattern reported by older adults is late, terminal or advanced sleep-phase. This means you may fall asleep at night without disturbance, but wake up in the wee hours of the morning and are unable to return to sleep. This pattern is most consistent with chronic insomnia. Doctors are already challenged diagnosing insomnia because the symptoms of insomnia are usually inspired by other root causes. So there are primary and secondary diagnoses and often you’re facing dual treatments. The process of diagnosis includes examination of medical history, past and present, a battery of sleep and behavior related questions that you must candidly answer and possibly further testing at a sleep study facility. Difficulty #1: many older adults avoid the doctor, thus passing off sleep disturbance as a natural part of their lives. Difficulty #2: unraveling the often confusing mix of medication effects, physical factors, and social factors that let a doctor read clues. Difficulty #3: treatment and long-term compliance. Prescription sleep aids, also called hypnotics, have long been a standard tool in the fight against sleep disturbance and insomnia. Hypnotics are still used widely, but among the elderly the use of benzodiazepine receptor agonist drugs carries risks. Benzo side effects include confusion, dizziness, and drowsiness which can lead to falls or other physical accidents. Auxiliary side effects like this can have far-reaching effects. Doctors more frequently prescribe non-benzodiazepines. Popular brand names include Ambien, Lunesta and Sonata. But even these are only recommended for short-term treatment. Because elderly insomnia is often chronic, these medications are rarely a standalone solution. In combination with or as an alternative to pharmacotherapy, cognitive behavioral therapy (CBT) is becoming widely accepted for its non-drug applications. Studies have shown that CBT can be a much more effective and permanent solution to chronic insomnia. CBT combines a medley of therapies—behavioral (sleep hygiene), psychological, physical—that treat the patterns of insomnia. Avoidance of symptoms can lead to clinical depression, which heightens sleep disturbance.